Finely figured walnut stocks, checkered butts, vacant silver escutcheons, horn fore-end caps, and equipped with belt hooks. Octagonal browned twist barrels, captive ramrods, patent breeches, platinum touch-holes, breeches struck with a poincon "Palmer Rochester". 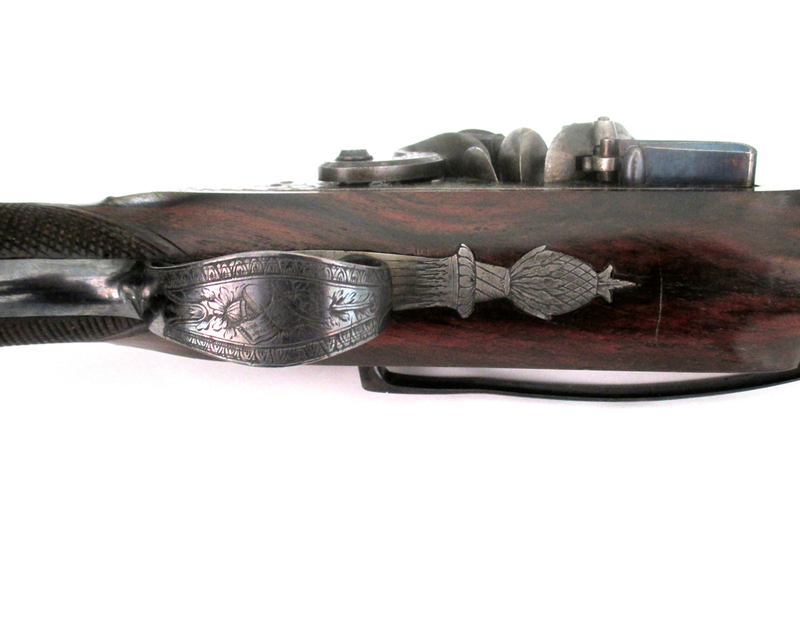 Flat case-hardened lock plates, engraved with a leaf border and trophies of arms, inscribed "Palmer".Blued and engraved trigger guards with pineapple finials. Mahogany green baize lined case with flush-fitting carrying handle and with some accessories, comprising of copper flask, wad cutter, cleaning rod, jags and brush. Caliber .67 , Barrels: 6 3/4" , Overall: 13" , Case: 15 5/8" X 8 1/2" X 3 1/8"
Condition: It would be most difficult to improve upon these pistols as they are virtually in "as new" condition. Case with some stress cracks to the lid. Provenance: Benyon Kent, Esq. (1779-1856) of Tatefield Hall, Yorkshire. 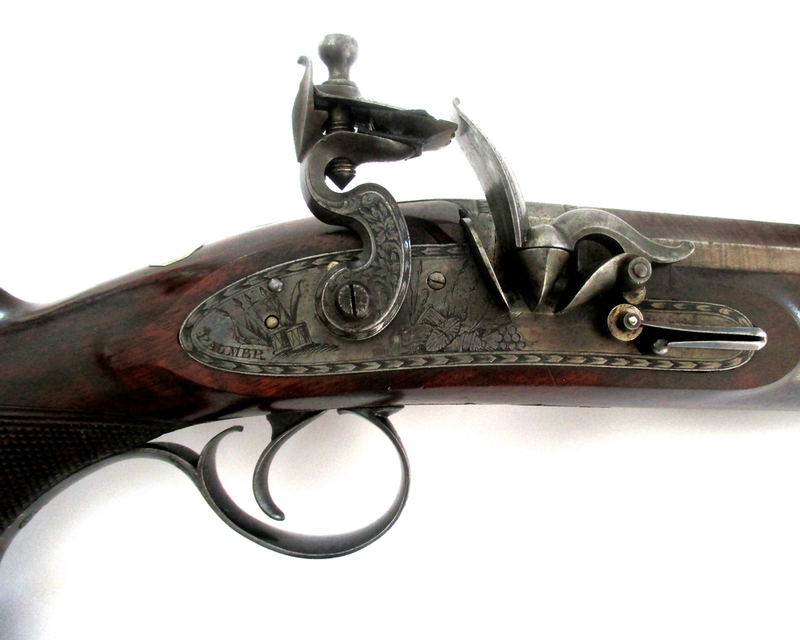 Clay P. Bedford Collection, exhibited in the The Metropolitan Museum Of Art,illustrated in "Early Firearms of Great Britain and Ireland", item #38, published by The Metropolitan Museum Of Art 1971.